What happens when you somehow get a dinner invite with a VP at your company? You go to 4th & Swift. Upscale and with an incredible wine list, this restaurant is known for modern, farm-to-table dining. While it would generally be out of my price range, dining with company executives has it’s upsides! We started with a lovely bottle of wine, but seeing as I know far too little about wine, I know it was red and I enjoyed it. For my main meal I enjoyed a seared fish with raviolis and brown butter sauce. It was out-of-this-world good! Holy smokes! Other people that I was dining with enjoyed shaved brussel sprouts salad, steaks and pork dishes. Everyone was raving over their meals and the incredible wine list. The service was attentive throughout the meal, and we had a lovely evening. I must admit I was a bit focused on work during the meal, but it was a special dinner and I had a lovely time. 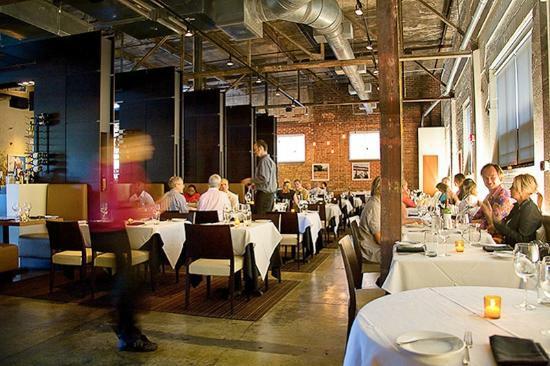 If you’re looking to treat yourself in Atlanta, 4th & Swift will do just that. A business trip brought me to Atlanta, Georgia last week. A coworker recommended Bocado for dinner, and it was a wonderful suggestion. We had a wonderful meal! The restaurant focuses on seasonal American food, and frequently rotates the menu. 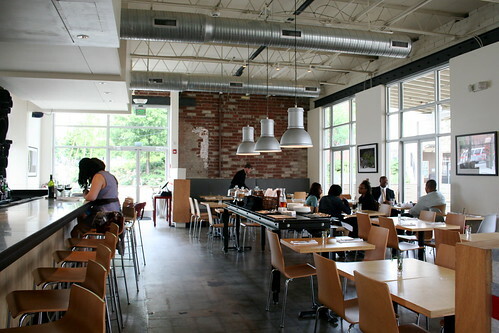 The décor in the restaurant was very casual and clean – similar to many of the gentrified spaces I saw while in Atlanta. Clearly the city is undergoing big changes. Unfortunately we weren’t seated on the huge patio, but I can imagine how wonderful that would be on a warm summer night. Since we went with a large group, we shared several appetizers to start – deviled eggs, quinoa salad, a snack platter and wonderful bread. The eggs were by far my favorite, but everyone loved the quinoa salad, and many had never tried it before! Always a good sign! For my main meal I enjoyed seared trout with caluflower and almonds. The fish was cooked wonderfully and the cauliflower went wonderfully with it. The food was fresh, light and interesting. We had a lovely experience at Bocado, and I’d strongly recommend giving this place a try if you’re in Atlanta! As I previously mentioned, I spent last weekend in Burlington, Vermont! Luckily good eating was on the agenda and we enjoyed a lovely meal at Penny Clues. This small café specializes in breakfast and lunch, so we headed over on Sunday morning. 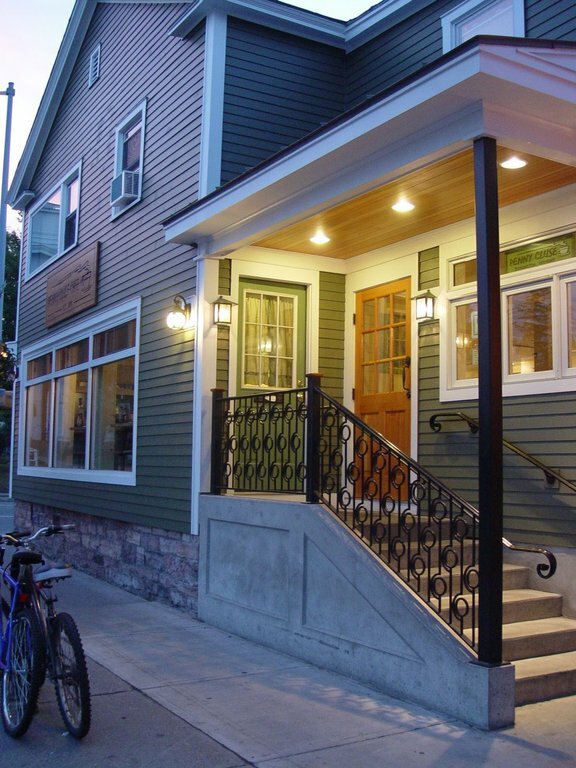 Though it looks unassuming from the outside, inside is a wonderfully cozy space decorated with local art and unique décor. There is often a crowd of people waiting by the steps, which is a good sign in this freezing town! We had a seat right by the window and got to enjoy the spring sun shining down. The coffee was super good, and for my main meal I enjoyed eggs, potatoes and biscuits with gravy. Though I’m not generally drawn towards biscuits, several people recommended them and I’m so glad they did! The gravy was loaded with herbs and the biscuits were moist and delish. We had a lovely meal at Penny Clues, and I’d strongly recommend a brunch stop here if you’re in Burlington – if you can get a seat!